All members of PAPA are active aerial photographers. To be accepted as a General Member of PAPA, an applicant must satisfy the association's requirements of proof that he or she has been in the business of aerial photography for at least one year and can provide multiple aerial photographs to substantiate their stated claim. In PAPA's continuing education opportunities, members are invited to participate in programs that can develop their photographic skills and expand upon their own aerial photography talents. The lack of a designation next to a member listing does not necessarily indicate a lack of knowledge nor the absence of the skills necessary to perform as a professional aerial photographer. The PAPA Core Certified Aerial Photographers Program is an educational course designed to provide and test for a basic technical skill set specific for the aerial photographer. It includes focused training in aviation safety, technical photographic skills as it applies to photography from an airplane or helicopter, and knowledge of governmental rules and regulations that apply to aerial photography. Additional certification program modules are planned and will expand on that basic knowledge to more specialized fields of aerial photography. The knowledge required for certification is validated through a PAPA administered proctored testing process currently available at PAPA authorized conferences. The PAPA Certified sUAS Operator Program is an advanced educational program designed to provide and test the knowledge necessary to operate a sUAS in the United States. It includes specialized training in flight operations, aviation safety, and the governmental rules and regulations that apply to sUAS operations. Any PAPA Member displaying this certification has also been licensed by the Federal Aviation Administration to operate a sUAS in the United States. The PAPA Master Aerial Photographer is the highest designation of aerial photographic skill for a member of PAPA and is based upon the accumulation of points for diverse photographic activities including participation within PAPA, taking part in the association's continuing educational programs and by having their photography judged in PAPA sanctioned competitive photographic events. 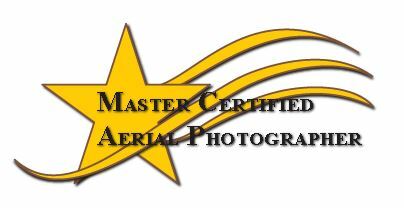 The Master title is earned over years of practice and experience illustrating a well-rounded knowledge of the art and business of aerial photography. 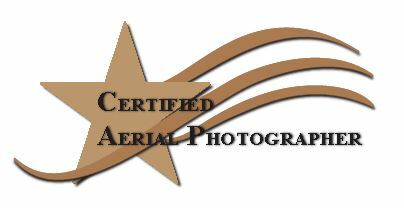 The PAPA Master Certified Aerial Photographer is the combined designation for the PAPA members who have successfully achieved both their Master Aerial Photographer designation and have earned their Certified Aerial Photographer title. PAPA encourages all members to continue the advancement of their aerial photographic knowledge through PAPA's educational programs. Members of PAPA, however, are not required to participate in any tested or awards program. Certification designations and awards are no replacement for experience. Non-certified members of PAPA may also possess this basic knowledge.